Kick your North Myrtle Beach, South Carolina vacation into high gear. 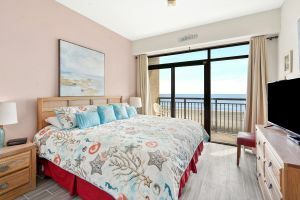 Beach Cove Resort 304 is a fantastic vacation rental that will take your beach vacation to a new level. 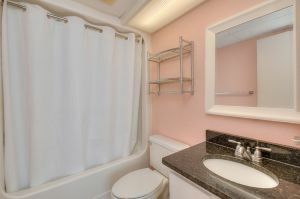 Spacious and comfortable, this rental has two bedrooms and two baths. 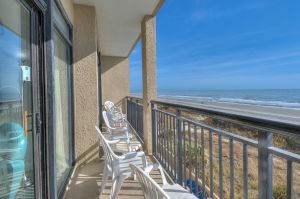 Featuring a well equipped kitchen, a big-screen television in the living room, full-size appliances in the kitchen and oceanfront balcony access from the master bedroom, this North Myrtle Beach oceanfront condominium has it all! 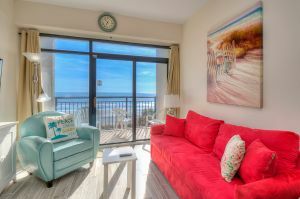 There is WIFI in this oceanfront condominium, so be sure to get online and share beach photos with friends back at home. 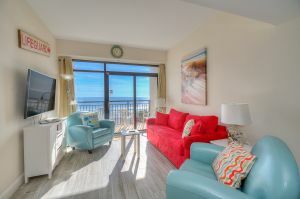 Televisions and DVD players in this oceanfront condominium mean you should bring your favorite movies for a quiet movie night during your North Myrtle Beach vacation. A washing machine and clothes dryer are provided for you in Beach Cove Resort 304. This North Myrtle Beach oceanfront resort is brimming with incredible recreational options, including an oceanfront pool deck that is tropically landscaped. Swimming pools, hot tubs, a lazy river and a kiddie pool adorn a pool deck that features a tiki bar. There is an indoor swimming pool and hot tub at this oceanfront resort, too. You can spend all day on this amazing pool deck and enjoy rest and relaxation. 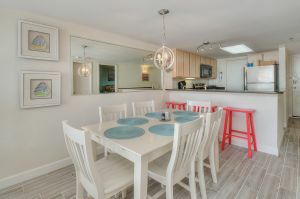 Walk a few steps and you will be on the sandy beach that is your playground when you vacation in this North Myrtle Beach, South Carolina vacation rental. Watch the tide roll in and out and swim in the shallow water of the Atlantic Ocean before attempting to the build a beautiful sand castle. 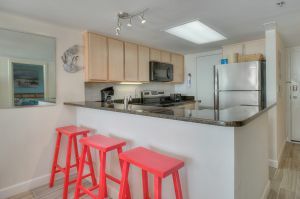 In close proximity to this fantastic North Myrtle Beach condominium is a fishing pier, championship golf courses, outlet malls, Sea Doo rentals and fishing charters.